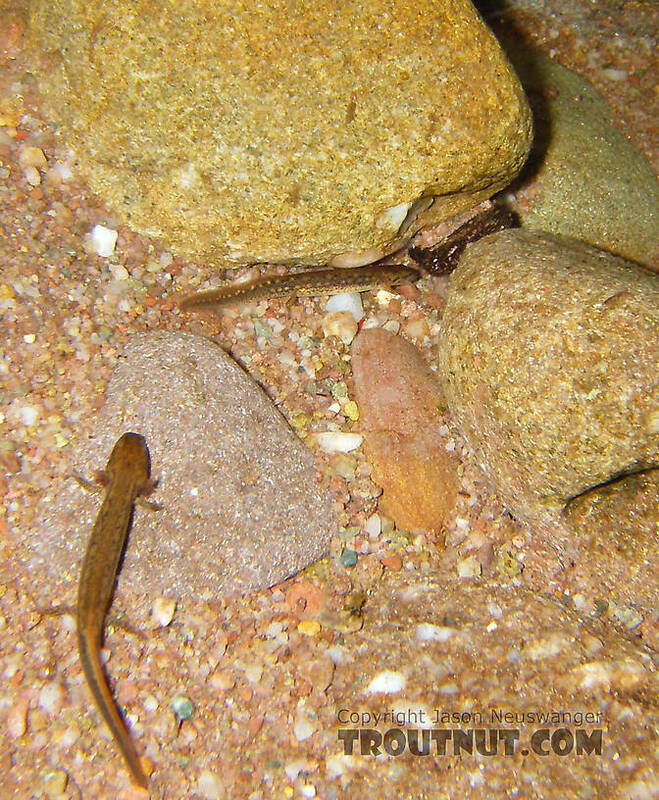 Salamanders and their larvae share some of our streams with trout and occasionally become their prey. I tried to photograph this salamander but it kept scurrying away from the camera. 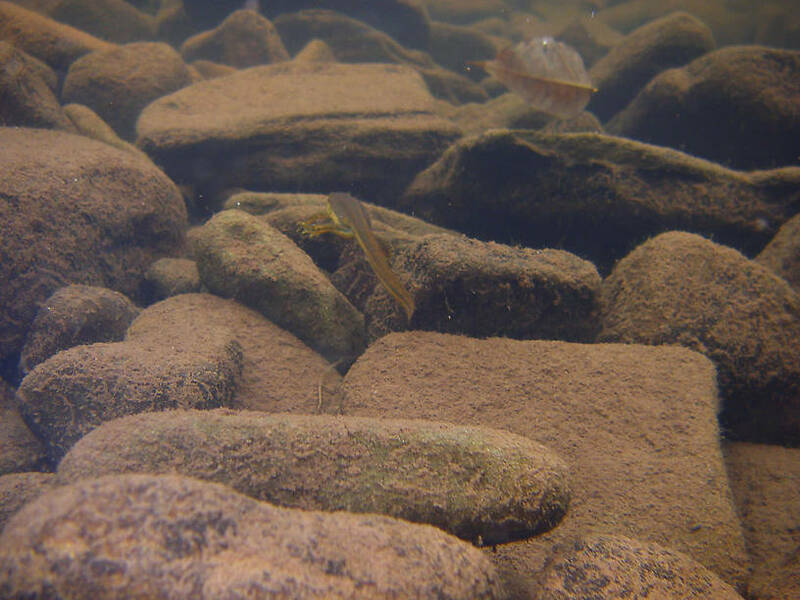 The rocks in this little backwater are covered with a thin layer of very easily disturbed silt, so anywhere I followed it I didn't have much time to photograph before the water was too turbid for a good shot. This is the best I got. the trout here in the smokies love the little black salamanders. 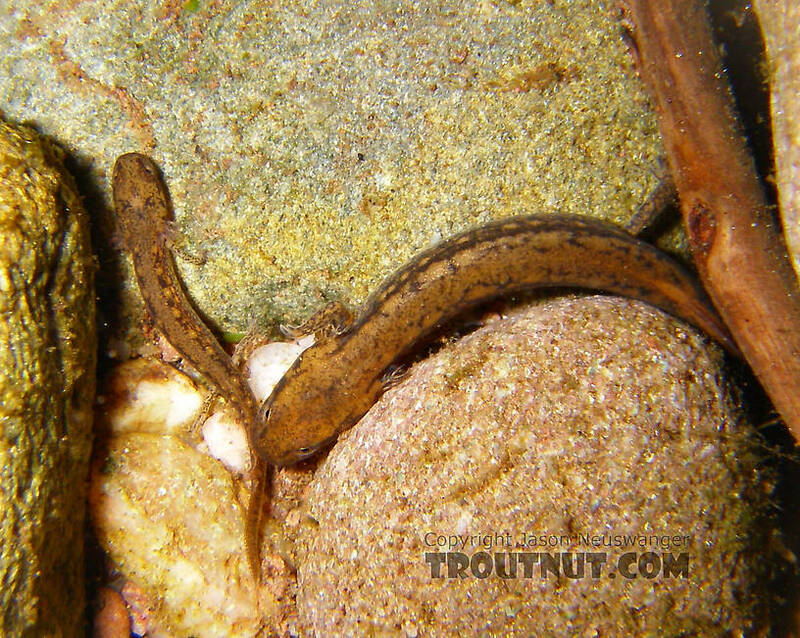 i find alot of them in the stomachs of the little native brookies we have around here. when ever im bait fishing(Lord, forgive me of my sins)i always look for a salamander to put on my hook because they do catch fish. im hoping to get away from that, but i havent succeeded in tying a fly that replicates one but i hope to figure it out or find an already existent pattern.